While walking along Elster Creek, I photographed a flock of Australian Wood Ducks that have been in the area over the summer. Wood Ducks breed in large numbers with parents and the occasional aunt raising up to 16 chicks. The one photographed below was grooming its finer down feathers. I thought the wind was blowing the feathers forward but as I photographed the duck it raised and lowered the feathers at will as it preened. 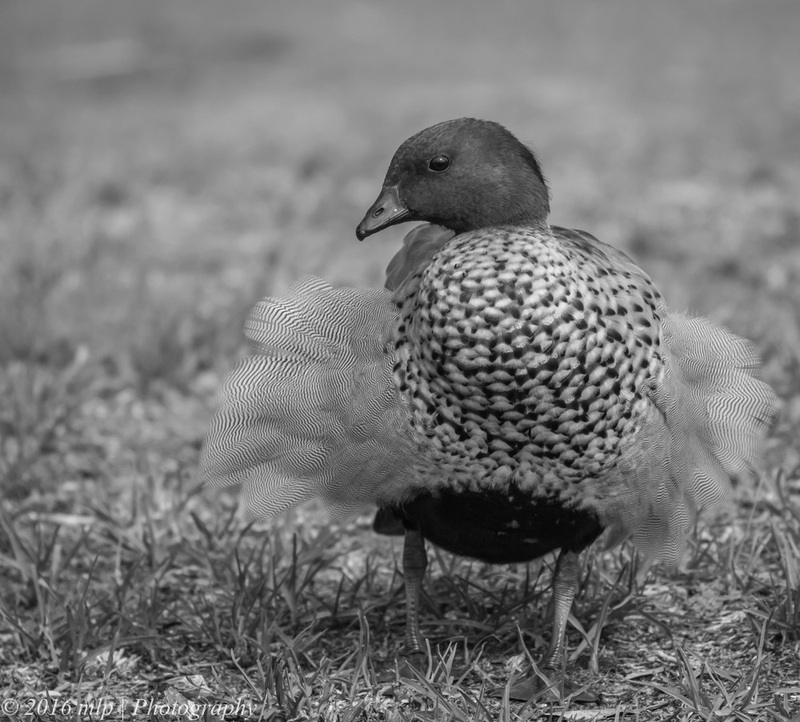 This entry was posted in Bird Behaviour, Birds, Black & White, Victoria and tagged Australia, Australian Birds, Australian Wood Duck, Bird Photography, Black and white, Elster Creek, Nature Photography, Photography, Victoria. Bookmark the permalink.